Thats a sick set dose! Nice job on the set! It almost makes me want to cry it's so beautiful. thats pretty sweet looking. cheers to a sweet restoration job. i love seeing new life breathed into an old instrument. The lugs go perfectly with that wrap! Good job bro! Looks sick. 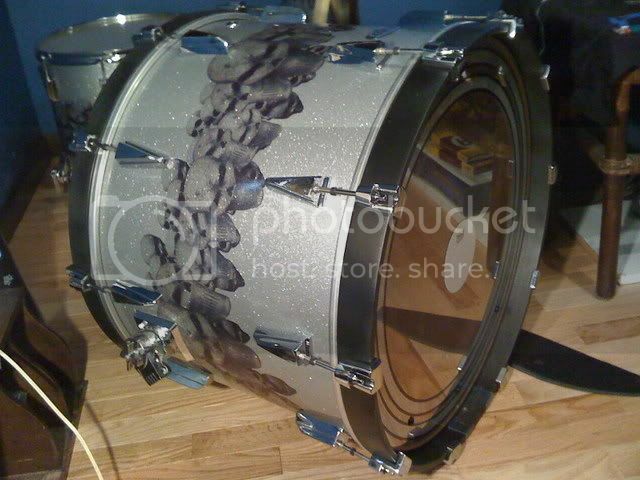 I thought a skull wrap would be cheesy too, but then I saw it on the drums and thought it was crazy. Those skulls are unique too. Definitely not cheesy. I like it man, good job. metal as all hell. looks great. Last edited by xdoseonex on Mon Sep 08, 2008 11:16 am, edited 1 time in total. I just finished the bass drum. Its almost ready to go. 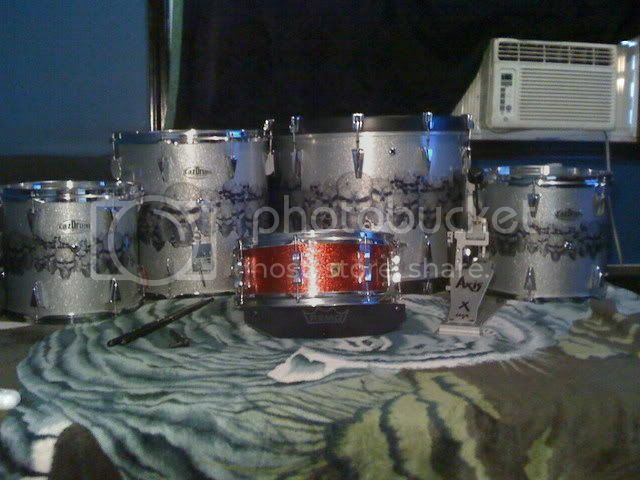 I'm still waiting on the rims mounts to mount the toms, and i need another cymbal stand. 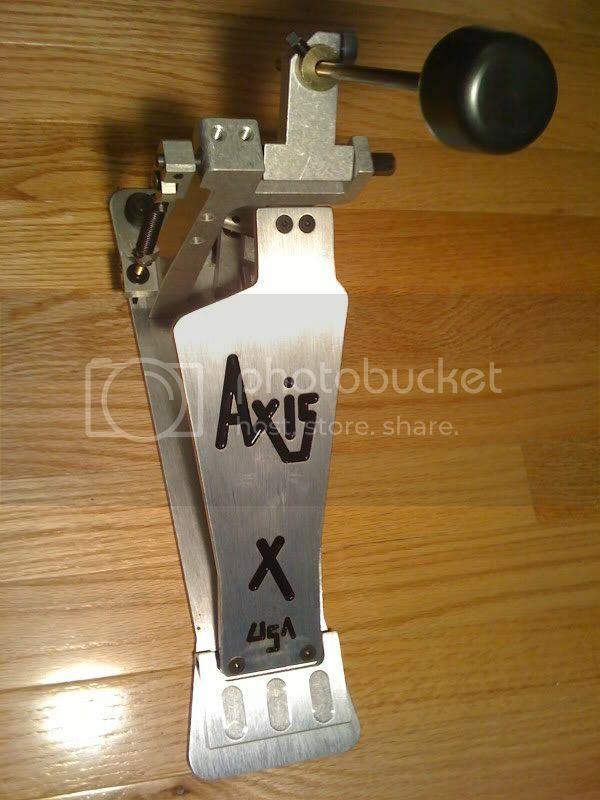 I picked up an axis single pedal and colored the logo in with black enamel (aka nail polish) so the black and silver would match the set. 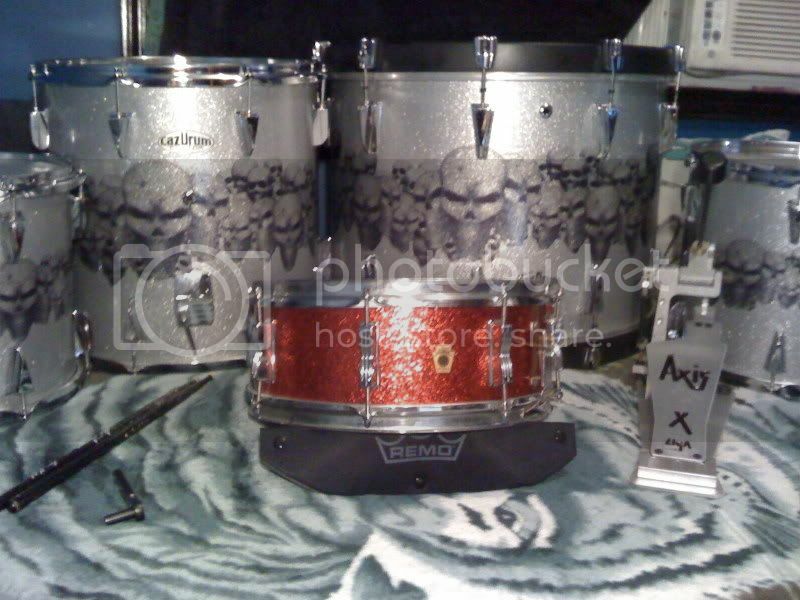 I really wanna set it up and tune it. Hopefully my mounts will be here soon. Last edited by xdoseonex on Tue Apr 05, 2011 10:10 am, edited 1 time in total. damn dude. its really improving. Great job Dose!!! Love it! P.O.Y!